Wilaayat is a special closeness which Almighty Allah has afforded to some of His beloved servants through His Grace and Mercy. Law: Wilaayat cannot be acquired by self-effort. 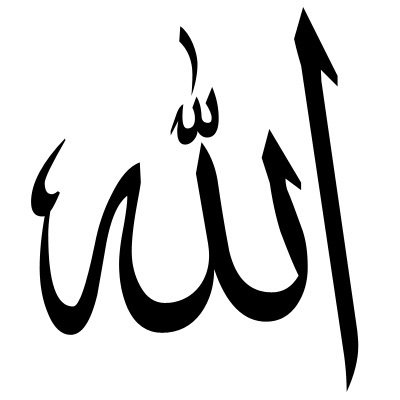 It is bestowed by Almighty Allah. However, good deeds and virtuous behaviour is a means of allowing it to be bestowed. Some blessed personalities are blessed with this privilege in advance. Law: Wilaayat is not given to anyone without knowledge. This knowledge is either that which one has acquired, or if Allah Wills, then knowledge is bestowed upon him before he receives the station of Wilaayat. Law: The greatest Awliyah from the beginning until the last day, are those in the Ummat of the Prophet Sallallahu ta’ala alayhi wa sallam. The greatest amongst them are the Four Khulafa in order of excellence. The first being Hazrat Abu Bakr, then Hazrat Umar, followed by Hazrat Uthman and Hazrat Ali رضى الله تعالى عنهما . Huzoor Sallallahu ta’ala alayhi wa sallam bestowed the splendours from the rays of Nabuiwat to Hazrat Abu Bakr and Hazrat Umar and he made Hazrat Ali Radi Allahu anhum the station for distribution of the splendours of Wilaayat. It is for this reason that all the Awliyah Allah turn towards Hazrat Ali Radi Allahu anhu and they shall continue to acquire this blessing through him. Law: Tariqat is not conflicting to Shariat. In reality it is inseparable from the Shariat. Some so-called Sufis say that Shariat and Tariqat are two separate ways and distant from each other. This is absolutely incorrect. To regard oneself independent and free from the need to adhere to the Shariat on the basis of this baseless view, leads to infidelity and heresy. The Murshids Khaas comprises of the Sheikhul Ittisaal and the Sheikhul Isaal. 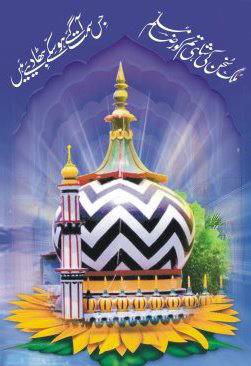 The Murshid Aam comprises of the Quran, Hadith, the writings of the Jurists, the Murshids, authorities of Tasawwuf, the writings of the scholars, and the writings of the people of guidance and righteousness. The guide of the general public is the Kalaam (Speech and Writings) of the Scholars. The guide of the Ulema or Scholars is the writings of the Imaams of Fiqh. The guide of Imams of Fiqh is the Sunnah and Hadith of Nabi (sallal laahu alaihi wasallam). The guide of the Holy Prophet (sallal laahu alaihi wasallam) is the Quran/Speech/Revelation of Allah. were justifiable. Similarly, the Mureed should be convinced that even if some of the Murshid’s deeds do not seem appropriate, the Murshid knows better and he has justifiable reasons for his actions. 2. The Mureeds will not benefit from his Murshid unless he (the Mureed) is convinced that from all the Saints of the time, his Murshid is most advantageous to him. Sultaanul Fuqara, Hazrat Faqir Nur Muhammed Sarwari Qaadri (radi Allahu anhu), defines a perfect Shaikh as one who discards the Nafs (carnal desires), purifies the soul and cleanses the mind of his Mureed for the sole purpose of guiding his disciple on the correct path and delivering him to Allah. A perfect Murshid does not attain worldly gain. A false Sheikh takes Mureeds so that his worldly status is boosted. The Mureed gives his hard-earned income to his Murshid who lives a luxurious lifestyle, which cannot even be afforded by the affluent people. These “heavensmarketers” have furnished their homes with the trappings of Hell and have they become the Fuel of Hell.